Looks alone are reason enough to buy this electronic cigarette! Add to that a very powerful eGo / eVod battery, throw in a high quality CE5 clearomizer and a ridiculously low price and you get one of the best vaping deals around. We even include a charger so everything considered, it's not too surprising this kit is one of our all time best sellers. If you need some snazzy style to go with top class vapour performance, this ecig should definitely be in your shortlist. The Black Mamba CE5 is a long-enduring clearomizer that's been the staple of literally millions of vapers ever since CE5 atomizers came out - and for good reason too. 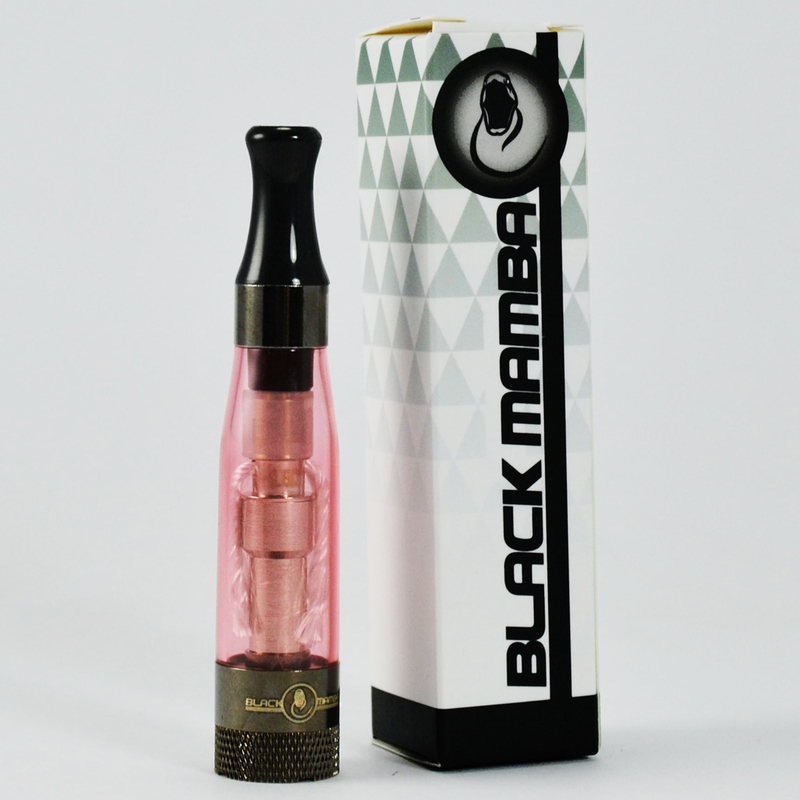 The Black Mamba CE5 features dual wick technology that has always been the choice for many vapers. The Black Mamba CE5 produces unbelievable amounts of thick vapour that's one the best in its class. The amount of vapor to one side, when it comes to flavor transmission, the Black Mamba CE5 is in a class of its own. Words can only do so much justice to the chunks of voluminous vapour from the Black Mamba CE5; you just have to see it, you have to feel the throat hit to understand just how quality a clearomizer the Black Mamba CE5 is. As a matter of fact, the throat hit is so good, there's a possibility you'll never want to vape with another CE5 again. And the partner for the Black Mamba CE5? 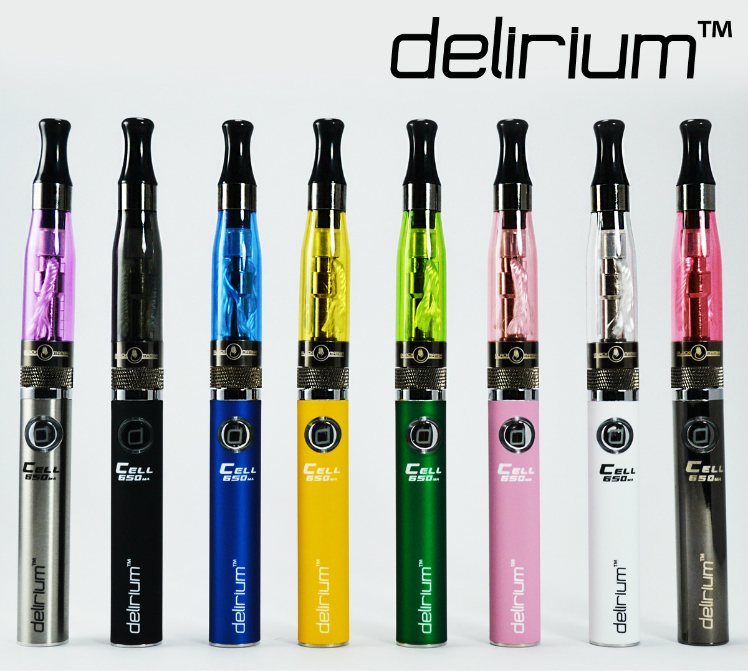 The delirium Cell 650mA eGo/eVod compatible battery - which is more like a power plant than a battery. The delirium Cell 650mA eGo/eVod battery consistently runs on stable power levels and doesn't need to be recharged frequently. The delirium Cell 650mA battery is ideally suited for the Black Mamba CE5 and together they form an unbeatable pair in terms of vapour quality, performance, visual appeal and price. Still, a picture is worth a thousand words so take a look at the pictures and decide for yourself - but be quick, offer is good while stocks last and these ecigs are going fast! Produces thick and voluminous vapor with every puff. Refill and recharge less with a 1.6ml liquid chamber and 650mAh eGo/eVod battery. Made with quality components by experts. The beautiful contours and colours will make you the centre of attention wherever you go. → It's always a good idea to stock up on consumable ecigarette parts such as atomizer heads. Please click here for 1.8 ohm heads or here for 1.6 ohm dual coil, quadruple wick heads.